I was so glad I was able to attend ACTFL this year in Boston! 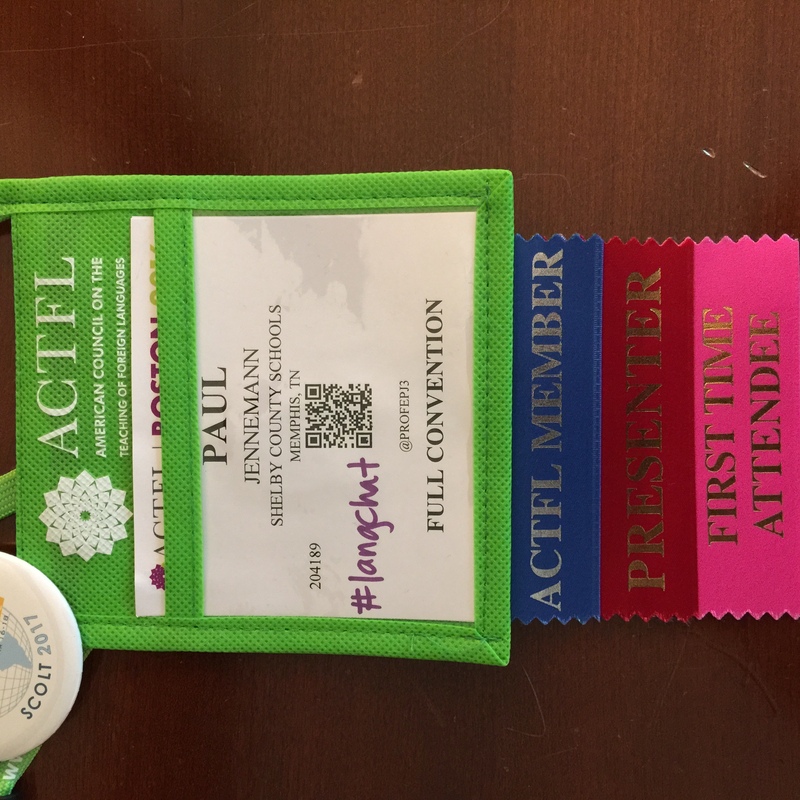 Though it was my first time attending an ACTFL convention, it really felt like a class reunion more than attending a convention because there were so many friends and colleagues I got to catch up with that I had seen at other events around the country in the previous year! The past 18 months have been a time of incredible personal and professional growth for me, and I have been able to meet some really tremendous people who have pushed me in my world language teaching. Whether it was through participating through #langchat on Twitter or the Leadership Initiative in Language Learning in the summer of 2015 or the TELL Collabs in Austin, Texas and Nashville, Tennessee, I have had some extremely validating and challenging conversations with astounding professionals and leaders in our field who believe that students can grow and become proficient communicators of another language. These are leaders who are making impactful changes in their schools and districts day after day. And that’s exactly what the theme of this year’s convention was: ImpACTFL. We, as language teachers, make an impact on our students to reach beyond the classroom in order to interact with those who speak the target language. We make an impact on our colleagues in order to collaborate for the refinement of our practice. We make an impact on our teaching community by engaging in professional development to expand what we can learn no matter how many years it has been since we first earned our teaching certificate. This ACTFL was definitely impactful for me because I got to reunite with a friend of mine from grad school whom I had not seen since her graduation in 2004. Also, I later learned my advisor from undergrad was in one of my sessions (“up against the wall” she said), but we didn’t even get the chance to connect while we were both in Boston! But what happens when you get a group of teachers who are all excited about their craft and are ready to not only share their ideas but learn from others? You get a spark, then an impact. You get something that you can take back to your classroom and department and district and students. Ultimately, you get l asting change. One of my students, upon hearing how excited I was after I got to present at ACTFL, asked if she and her fellow students would ever have the chance to present. That’s the kind of impact that I love seeing as a teacher! 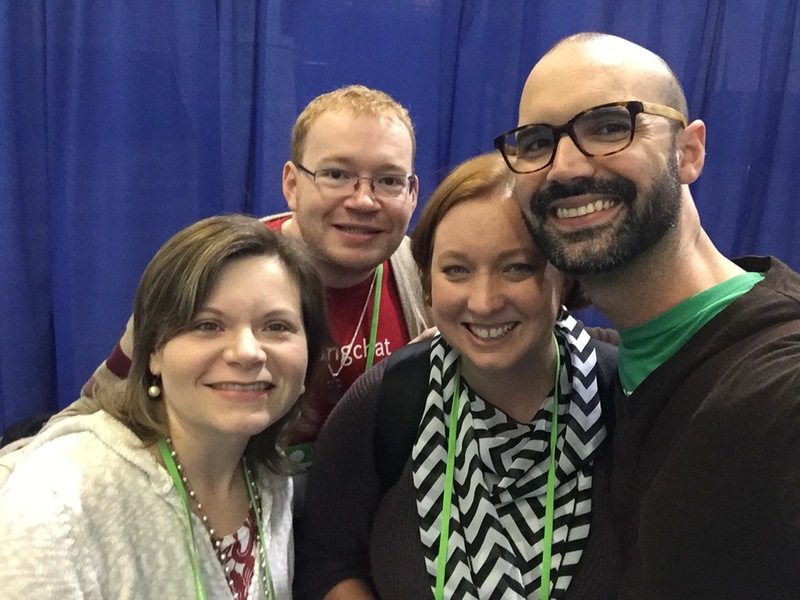 For this to be my first ACTFL convention, it sure felt more like a class reunion than a conference, and I loved the bustle of excitement as titles of teacher and administrator were blurred in a sense of learning for what’s best to help the students grow. 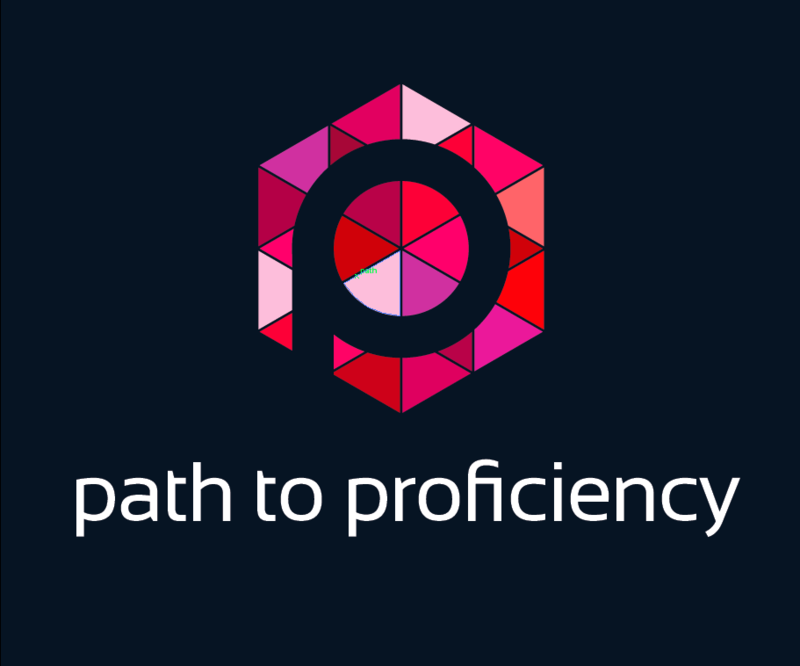 There’s a lot of good work going on in our field, so we should celebrate the impact we are having on this path to proficiency!